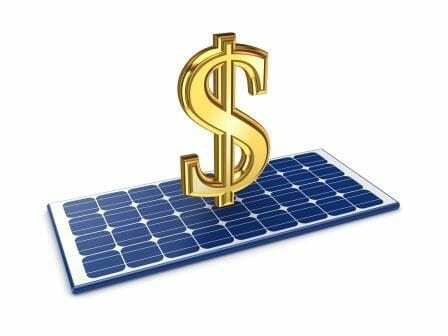 Solar power financing offers a great way to begin enjoying the benefits of solar energy. With solar panel financing in place, you can start saving significantly on your electric bill immediately. If you are in a position to pay cash for your system, annual returns of 15% or more are common. However, if you prefer to use solar financing to acquire your system, there are many options available today. Our Solar Advisors will review your goals to help determine which program may be best for you. We can show you how solar financing can save significantly when compared to your current and future electric bill. We assist you by putting together the financing applications and working with the lenders to make the process as easy as possible for you. PACE: Property Assessed Clean Energy. Sonoma County, Napa County and Marin County have programs that allow homeowners and business owners to finance their solar systems through a property tax lien. You can finance up to 100% of the system cost, and make payments twice a year when property taxes are paid. Interest on the payments is usually deductible, and qualification is easy. Most solar panel financing programs simply require the value of the home or building to exceed the existing loan balances and the PACE loan amount. Owners must also be current on property taxes and not have had recent bankruptcies. FICO scores and Debt-To-Income ratios are not deciding factors. 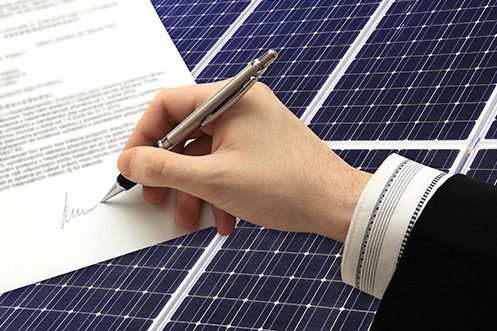 Our Solar Advisors can advise you on which PACE solar financing program may be the best fit for your home or business. Credit Unions: Many Credit Unions offer solar loans for residential installations. Credit Union loans can offer favorable rates with minimal to no fees. The loan is secured by the solar system. Interest payments may be deductible. Qualifying is like a typical loan and FICO scores, Debt-To-Income ratios, Loan-To-Value calculations are all factors. Solar Financing Loans: We have several solar power financing loan products available as well. These are primarily FICO-based. The fees are typically higher than Credit Union or PACE loans, but very low rates are available. These solar loans can be good solutions, especially if you plan on keeping the loan for its entirety. 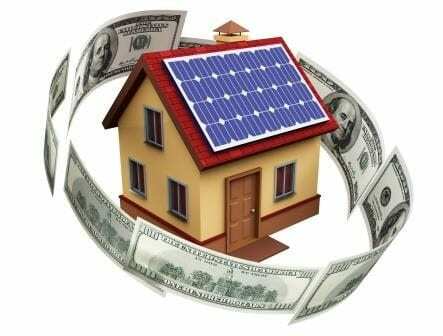 Many Solar Loans also allow you to pay down the loan to lower payments after you get the benefit of your tax credit. Leases and Power Purchase Agreements (PPAs). Leases and PPAs often get a bad name in the solar industry. This is mostly due to the fact that most companies offering them do not present or promote other financing options that may be better solutions for the customer. So, PPA’s and Leases are not bad. They simply aren’t the right solution for most customers. However, a PPA or Lease may make sense if you cannot take advantage of tax credits or you place a high value on guaranteed production and system insurance. With a PPA or Lease, you do not own the system. Instead, a third party owns it and is responsible for making sure your system performs as advertised. Qualifying is typically based on FICO scores. If a PPA is right for you, we have some good options. Our Solar Advisors can show the best way to make them work for you. Commercial Solar Financing: Lending for small to mid-sized commercial solar is not as established as residential solar financing. However, this space is evolving, and we have several options available, including PACE and Leases. Please speak with one of our Solar Advisors to see what options may be best for your business. Non Profits and Churches: We have solar power financing solutions to enable organizations that typically can’t benefit from the tax credit to be able to enjoy the benefits of solar energy. Contact our Solar Advisors to learn more. Tax Credits: Solar systems qualify for a 30% solar Investment Tax Credit (ITC) through 2019 (26% in 2020, 22% in 2021). This represents huge savings! When you file your taxes for the year in which your solar system was installed, you may claim the ITC (ITC % x system cost). Rules vary slightly between systems installed on your personal residence and business. Note: we are not tax professionals. We recommend seeking guidance from a certified tax professional to best understand how the ITC can work for you. Rebates: You may have heard advertising from other companies that you need to act now to get your rebate while they last. Unfortunately, this is misleading advertising as the California Solar Initiative (CSI) rebate program for existing homes and businesses has been exhausted. However, there are still limited funds available for new homes. If you are interested in rebates for new construction, our Solar Advisors can discuss if this may be available for you and the steps needed to qualify. “I was completely satisfied with our sales person. He was able to answer all my questions, and presented everything in a manner that I understood.